Everyone's fingers in the little one's mouth! 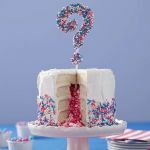 This month you will be getting a lot of advice, welcomed or otherwise, by other parents regarding introducing solid food and your baby’s first tooth. If you witness guests barging their fingers around your baby’s mouth to locate a tooth, you can gently tell them its not there yet! But it can be there, so keep an eye on those tiny gums specially the upper or lower front. To find whether your baby had his first tooth, gently rub your finger on his gums. Sometimes a little milk deposit on the gums might look like a tiny tooth, so make sure you check with a gentle finger before making the big announcement! But having said that, it still might be a bit early for his first tooth, which may come out any time from now till his 6th month. So be patient! Introducing solids? Not yet, please! If you are getting a lot of questions and suggestions regarding the introduction of solid food in your baby’s diet, we suggest you to wait a couple of months. The milk your child is taking, whether breast-milk or formula-milk, has all the nutrients he needs at this stage. Doctors believe that the best age to introduce solids is after 6 months, so listen to the doctors as they know better. 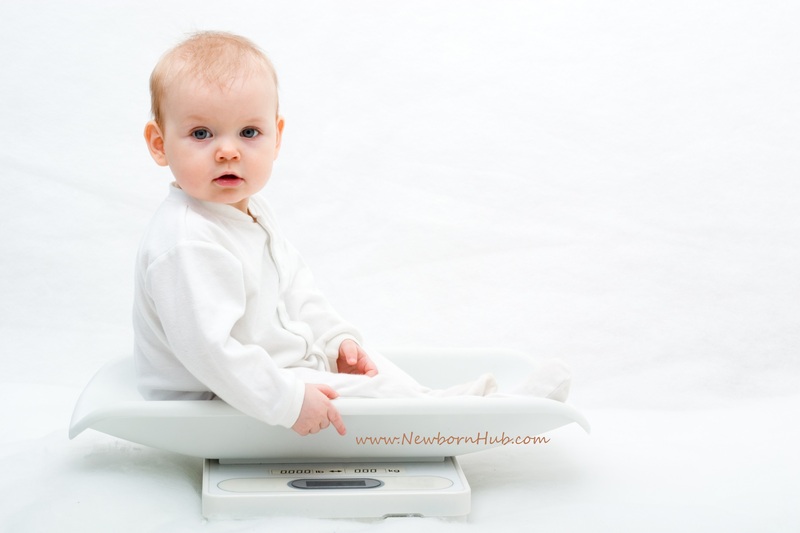 If you think your baby is too lean, check out the weight/ age chart and know for sure. If he is not achieving his baby milestones properly, talk to your doctor. Let your baby’s digestive system develop, he would be eating solids all his life, so he won’t mind waiting for a couple of months more, would he? Wait for the baby milestones to come on their proper time. Grasping everything that's within the range: Note that your baby’s grasping power is refining, and at this age he would be able to grasp his relatively bigger rattles and blocks. However, letting them go would be a difficult task for him as his grip is still in the developing stage. Inquisitive: She enjoys playing with her hands, moving her fingers, pulling her leg or even sucking her little foot. She will keep on repeating all these moves until she finds a different one and then she will continue doing that until she is distracted to another object. Playing on her own: If you feel your baby has become a little quite and is playing on her own, this a good sign. You can take a sigh of relief and do any work that you wanted to do for long but the little attention-seeker was not letting you. Shedding off those extra pounds of yours: If you are worrying about your pregnancy weight, try shedding it off by joining a gym or starting your own workout routine. But don’t be too harsh on yourself – you didn’t gain all the wait in a month, so don’t expect it to disappear in a couple of weeks. Nanny matters: If you haven’t got a nanny yet or are not planning to have one, don’t worry, you can take your baby to the gym on a carry cot and you can talk to her while working on a treadmill or doing some exercise. If your gym has a TV (most of them do), your baby can glare at the colorful screen and you can continue shedding off those extra pounds. A picky baby: Your baby is enjoying all the attention he can get. Although you may find him greeting strangers with a smile, he might start crying when left with a babysitter or nanny. The reason being he has started recognizing people around him. He will now be choosy about the people he wants around him and those he do not like to hold him. Never compare: If you meet some parents of babies who are of your baby’s age, don’t fall into comparison of baby milestones. Remember each baby develops at his own pace. So if you find a 4 month old baby who sleeps 7 hours at night and yours wake up twice during night time, don’t worry. Every one out of four baby has problem sleeping calmly throughout the night even till age five. So don’t worry, your baby might start taking more sleep in the next month. 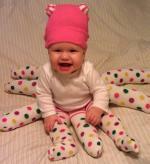 Give your little one some time before you start worrying about the typical baby growth issues parents jump into. Keeping an eye on cleanliness: Make sure you are keeping an eye on his body temperature as many babies catch cold at this age. Also, since your baby would be sucking his thumb and putting all his fingers in his mouth a lot, make sure his hands are clean and the toys he is playing with are all sterilized. If you have hired a nanny or a babysitter, make sure she is neat and clean. First tooth: Keep on checking his gums with a clean and gentle finger in case he is ready to pop out his first tooth. If you are making a baby book, make sure you keep it handy as you would need it soon to enter the date of his first tooth! A lot of new baby milestones will follow! Involve your partner in baby activities: Do not forget to take turns with your partner to carry out baby chores. This way you will not feel too tired and your partner would also feel involved in baby activities. Your baby is almost 5 months old now. Time is flying and before your know it, he would be trying to blow the candle on his first birthday cake. Time flies! Keep a track of all major baby milestones as they come your way - your kid will love to hear about them when he grows up. Return from 5 Month Old Baby Milestones to Homepage.